Donald Lee Herbert, 71, died June 22, 2014 in his home in West Glacier, Montana. He was married to Jette Andersen, who predeceased him. He is survived by his only son, Paul Herbert, who lives in Idaho. family and old friends. 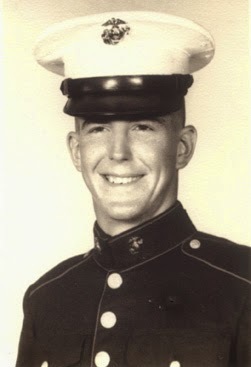 At age 17 Duke got a big eagle tattooed on his bicep and joined the United States Marine Corps where he graduated from Parris Island at the top of his class. His intent was to fly fighter jets but his less-than-perfect eyesight landed him in the ground crew instead -- a post which taught him a lot of electronics that he was able to use in civilian life. Because they would not let him fly a jet, Duke did not re-enlist in the Marines. While stationed in Santa Ana, California, Don met his wife and soul mate, Jette Andersen. Jette was a lively stewardess from Denmark where Duke often traveled to party with Jette's family but never learned to speak Danish. Duke married Jette and they moved to the small mountain town of Julian, California where Duke serviced microwave relay towers in the desert for Pacific Telephone. He lived in Ramona, California for eight years and then moved to Escondido, California where he and Jette remained until his retirement in 2002. Duke worked as a microwave radio technician for Pacific Bell. He was a pioneer in modern communication technology (at a time when telephony was transiting from analog to digital) and loved doing his job. For a time Duke worked as a bartender in a California beach town. He had a great gift for making friends wherever he went. When I went to Duke and Jette's wedding, what impressed me most was the great variety of men and women who attended, ranging from officers, corporate executives, Marine grunts, hot babes and low-lifes, this odd-ball assortment of human beings having one thing in common, that they were all friends of Duke's. He was humorous, easy-going and cut his own path through life's jungle not giving a damn what other people might think. Despite his doggedly independent life style, he made a lot of friends: Duke's theme song could well have been Frank Sinatra's "I Did It My Way." Duke loved life and lived it to its fullest. Adios, little brother. I will miss you. Oh, Nick, I'm SO sorry to see this obit. I know how much he meant to you and your family and send you all sincere sympathies and love. Thanks, Philippa. Losing Duke was like losing a part of me, like having a big tooth pulled, leaves a big space in my life.